Having your roof installed correctly makes all the difference. Part of that installation is nailing down the shingles. 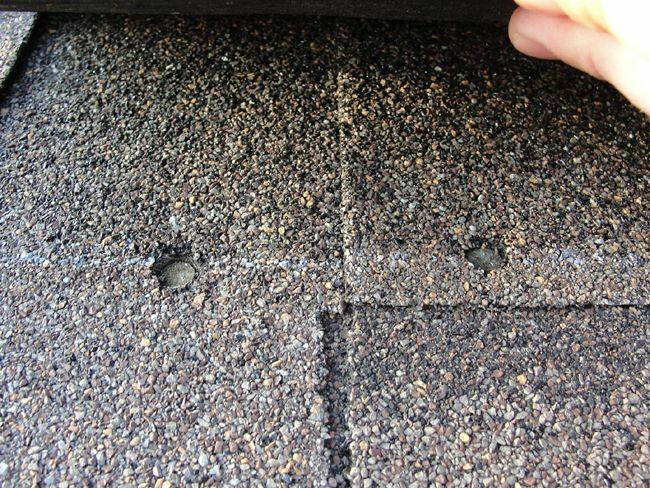 There is one right way and plenty of wrong ways to install shingles. Some things that matter are, the nail type, placement, and the pressure that the nail gun is set at. I found a great article put out by a local news site in Minneapolis about installing nails correctly. Click here to read the article and stay informed about the roofing industry and getting a roofed that is installed RIGHT. This entry was posted in Repair & Maintenance. Bookmark the permalink.